Welcome to Performance Automotive’s employment opportunities page! 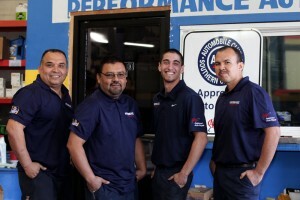 If you’re looking for an automotive job in La Puente you have come to the right place. We provide excellent job opportunities for sharp minded, energetic and motivated people to provide our customers with only the best customer service around. We are always looking for qualified Automotive Service Technicians. Simply complete the employment application form below. If you are a hard working, friendly individual we may have a place for you on our team. Please fill out the form below and upload your Resume and Cover letter.